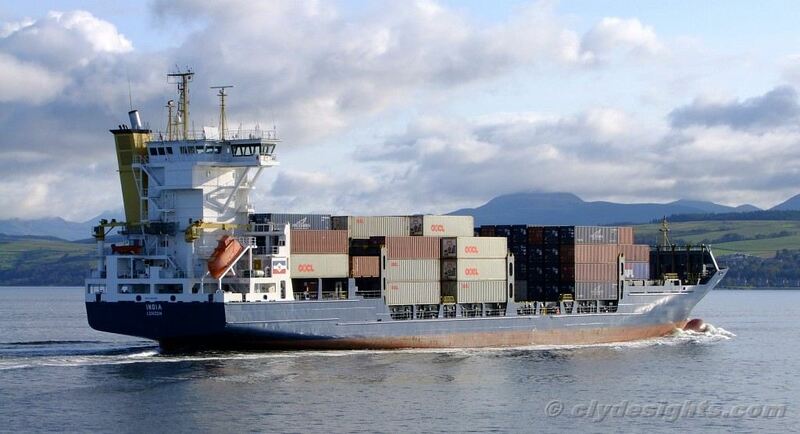 Now a frequent caller at Greenock on the weekly SIX service from Southampton, the container ship INDIA recently added Liverpool to the port rotation served by her operators. INDIA herself is no stranger to the Clyde, having visited the river up until October 2009 under her previous name, VELAZQUEZ, when she sailed for MacAndrews. Of the Type 172 design from the Sietas shipyard in Germany, INDIA carries up to 864 TEU containers. She was built in 2003.